As experienced elder law attorneys in The Villages, we frequently receive questions from people in the community. These seniors call us because they are trying to handle a loved one’s estate or thinking about estate planning on their own. We are happy to meet with members of the public who have a legal question, but we have decided to deal with some of the most common questions in this article. My Mother is Moving into a Nursing Home. Should She Sign Over Her Property to Her Children? Paying for long-term care is probably the number one concern that people have—and for good reason. The average cost of a nursing home in Florida is around $90,000 a year and increasing quickly. If your parent has assets, they want to preserve them as much as possible for their children and/or their spouse. 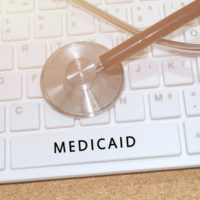 There are a lot of misconceptions about Medicaid planning out there, and we don’t have the space to dispute all of them. Instead, we would encourage you to meet with an experienced attorney. In many situations, signing over assets could be the worst decision, making your entire estate vulnerable. Before acting, get the experienced elder law advice you need. Why Do I Need an Elder Law Attorney? Can’t Any Attorney Help Me Just as Well? Every lawyer with a bar license in Florida should be competent to provide legal services. However, most are not prepared to work closely with elderly clients and can make critical mistakes that an experienced elder law attorney would avoid. As practitioners in this field, we have built up the experience necessary to see through some of the misconceptions that the public has about aging. For example, we can identify the difference between mental infirmity and a physical disability. We are also aware of all the resources in Florida available to the elderly. By hiring an experienced elder law attorney, you get more than a strong legal advocate. You hire someone who can help solve all kinds of problems that crop up as you age. I Have No Assets so I Don’t Need a Will, Right? Actually, it’s not this simple. For one thing, a will does much more than assign property to certain people. You also appoint a personal representative who will be charged with paying off your bills and possible arranging your funeral. If you don’t name your representative in the will, it’s up to a judge to appoint someone. You also don’t really know what assets you will have when you die. For example, you could inherit property from a relative in the near future, in which case you’ll want a will. I Can’t Afford an Attorney, Should I Use an Online Program to Draft a Will? There’s a good rule of thumb—it’s more expensive to clean up a mess than prevent one in the first place. We’ve seen some people with very simple estates get good results using online programs to draft basic wills. We’ve also seen people make critical mistakes in a homemade will that are very difficult (and expensive) to untangle. If you don’t want to leave your children or spouse a mess when you die, you should meet with an experienced elder law attorney in The Villages. If you have a legal question, we have answers. At Millhorn Elder Law Planning Group in The Villages, we have helped many of your neighbors draft an estate plan, probate an estate, and legally prepare for aging. We can help you, too. To schedule a free consultation, please call 800-743-9732.